Finally - Help for diagnosing rabbit diseases! 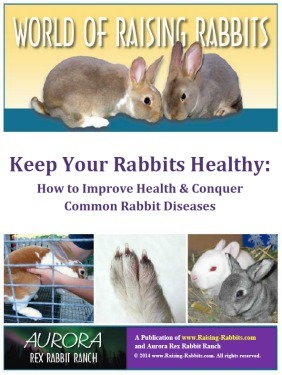 The Keep "Your Rabbits Healthy" e-book helps you easily maintain your livestock and pet rabbit's health. Of all the pages on the Raising-Rabbits website, the hub page for diseases is always one of the most heavily traveled. Rabbit owners of both pet and livestock rabbits alike need and appreciate accurate information that will help them help their furry friends and livestock animals to get better and stay better. Keeping our rabbits healthy is an essential focus of rabbit care for rabbit breeders and pet rabbit owners alike. 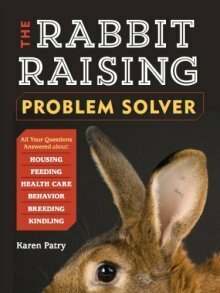 When health challenges unavoidably sneak up on the rabbit, rabbit owners now can download this convenient rabbit health and disease resource – an e-book that collects all the rabbit health and disease information on the Raising-Rabbits website, enhances it, and puts it all conveniently at your fingertips. World of Raising Rabbits e-book series. This e-book does not eliminate this need. We're not vets! When necessary, always seek veterinary assistance. 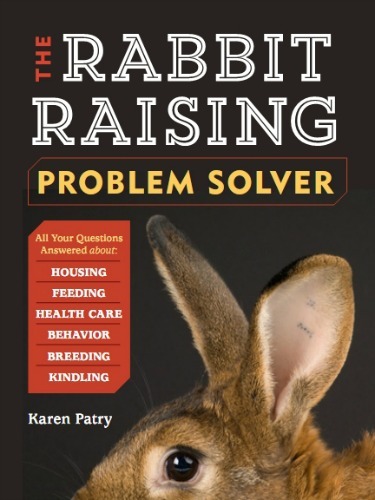 We’d like to point out that fully one-fourth of our Storey-published book, Rabbit Raising Problem Solver, is dedicated to rabbit health and identifying and eliminating rabbit disease. It is a superb resource that provides answers covering every aspect of rabbit care. If for some reason Rabbit Raising Problem Solver is not available to you, you will find “Keep Your Rabbits Healthy” a very useful and convenient rabbit health resource. It downloads as a PDF file and can be viewed through any free PDF reader such as Adobe Reader. Once purchased, you’ll immediately receive the download link. Download it and keep it as a handy reference for whenever you need it.